I have always been interested in trying Essential Oils. 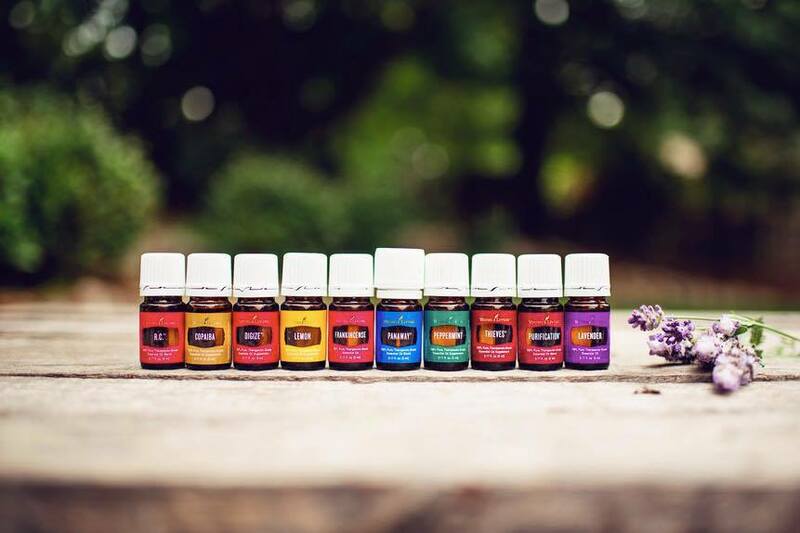 I have many friends who swear by them, and that essential oils can help everyday issues such as stress, headaches, stomach issues and much more. I am for anything natural that can help. I was recently contacted by a An independent distributor for Young Living Essential Oils. 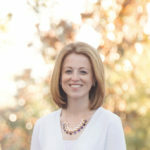 Her name is Nicolle Schwartz, and she has offered a giveaway for my readers. Below you will find information all about Young Living Essential Oils. Young Living was started by Gary Young over 20 years ago. He and his wife Mary still run, own and operate the company. Young Living owns all of their own farms and distilleries all over the globe. 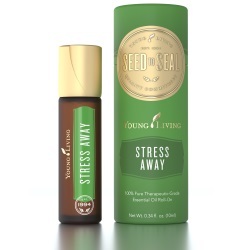 Young Living has developed their own “Seed to Seal” promise that ensures that they have inspected the purity of the oil from the planting of the seed to the sealing of the bottle. Because of the Seed to Seal promise, they are what we call, “beyond organic”. When Young Living buys land for a new farm they even check the history of that land to ensure there has never been any pesticides or herbicides used on it that could leak into the crop.Young Living Essential Oils don’t have any additives in them and are complete pure. This makes them safe for Ingestion. Young Living Essential Oils are a pure, therapeutic grade and work with your body to assist your health. 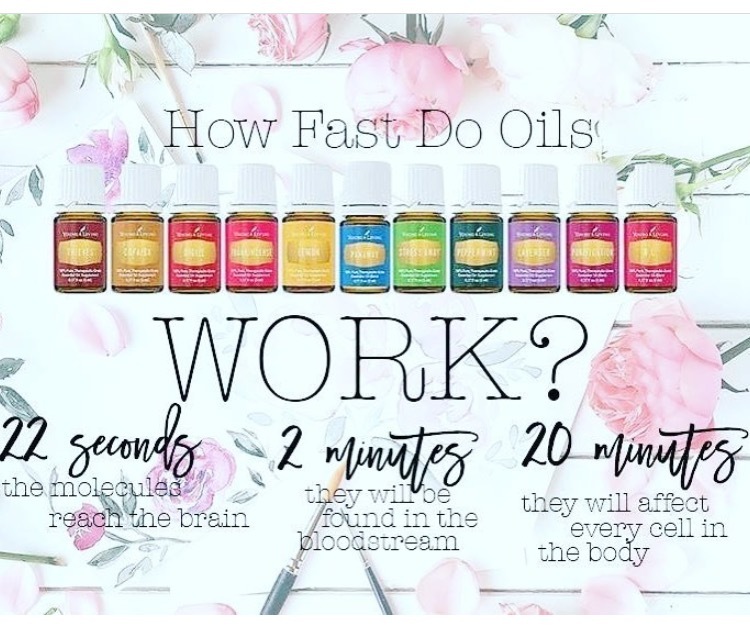 Within 20 minutes of applying an oil, they can be found in every cell of your body. These types of pure oils are steam distilled from plants and contain the hormones, immunity, scents and essence of each one. They can be used aromatically (through diffusing, putting a couple of drops in your hands and smelling or just smelling from the bottle), topically (the feet is the best place to start as they are the least sensitive) or some oils are FDA approved to be ingested as well. In addition to essential oils, Young Living also provides chemical free cleaning products, a kids line, beauty products, and other products to supplement a healthy lifestyle. 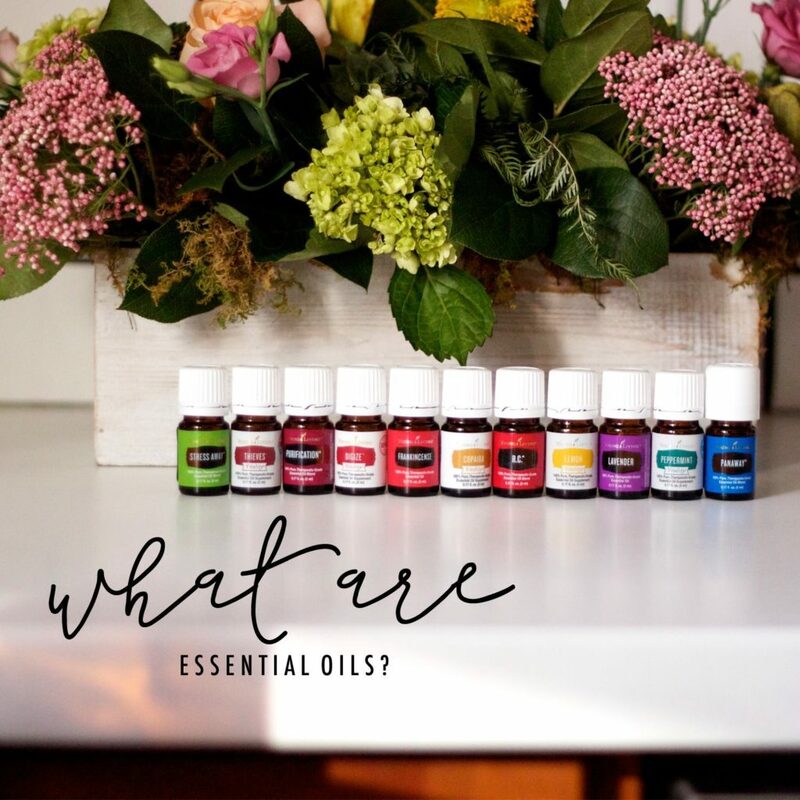 Here is some information about what you need to get started with Essential Oils! Calming. Soothing. Great for skin. Perfect before bedtime. Add into coconut oil for your skin care routine. Use when battling spring seasonal issues. Cleansing. Use while cleaning sticky surfaces. Use while cleaning crayon off the wall. Add to water for a cleansing boost. Supportive of respiratory health. Hot/Icy feeling. Keep away from eyes. Great to use across head and neck for head tension. Diffuse while working. Supports the intestinal system. Use after a big meal. The #1 oil for skin care. Add to coconut oil for your skin care routine. Great for youthful looking skin. Key ingredient in an oil blend called, “Brain Power”. Research is being done on this powerful oil and it’s properties for health. Look into the research on this one! One of Young Living’s most popular blends. Great to diffuse during the winter when germs are entering your house. Supports healthy immune function. It has a warm, Christmas scent. Promotes wellness. Supports the body’s natural response to injury and irritation. Add to a hot tea for a soothing throat drink. Use after a big meal. Supportive of the digestive system. Add to water or take in a capsule. Cleansing. Diffuse to clean and freshen air. Apply to skin to enjoy the outdoors annoyance free. Hot/Icy Feeling. Apply topically after exercise to muscles. Apply to neck and back while experiencing head tension. Unique blend of 3 types of Eucalyptus. Supportive of the respiratory system. Apply to chest or diffuse. A blend of vanilla and lime. Use to combat every day stresses. 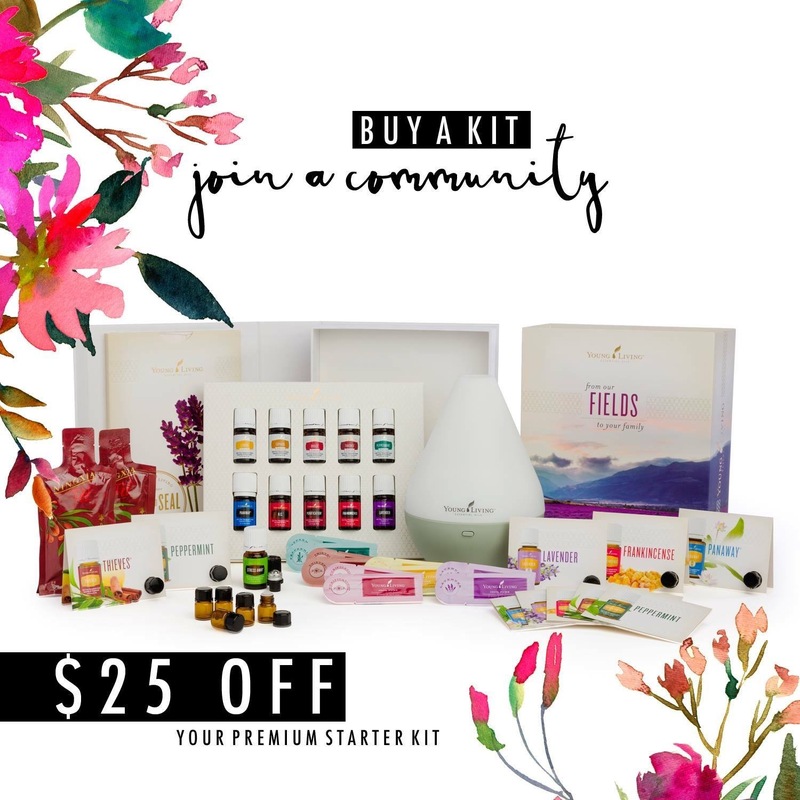 This kit retails for $160, however Nicolle is willing to offer it to my readers for a $25 discount making the kit only $135. To purchase a kit, readers can click on the below link. Please contact Nicolle Schwartz at nicolle.schwartz@gmail.com to receive your discount. 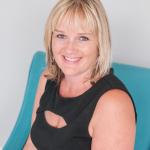 If you currently love essential oils, and want to learn more about the business side of Young Living, please contact Nicolle and she will answer all of your questions! One lucky reader will win a Stress Away Roller! It is a lovely mix of vanilla, lime, copaiba and cedarwood. Roll it on your wrists during a hectic day at work, on your feet before bedtime, or on kids before they go to school. It is great to keep in your purse. U.S. residents only, giveaway ends on 4/17/2017. *No compensation was given to me for this review. Take Your Kitchen Into the Future! 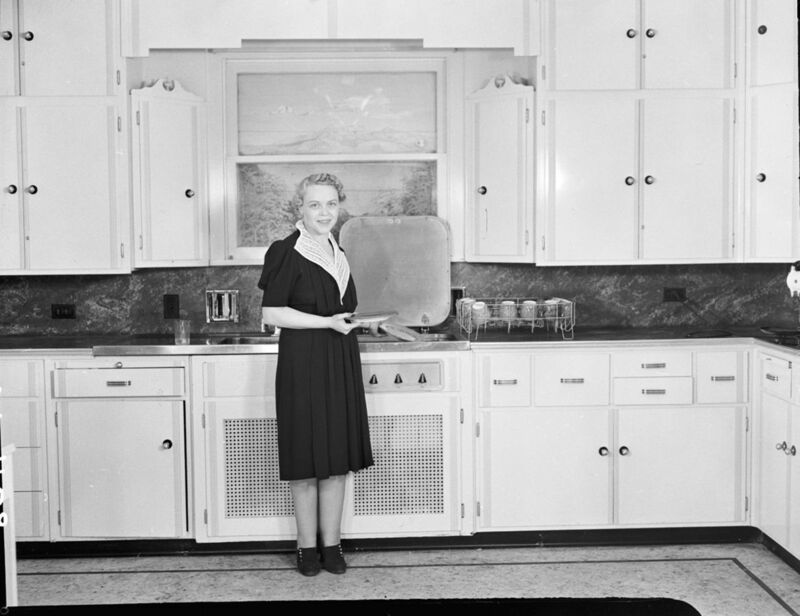 A lot of people seem to assume that the kitchen hasn’t changed much over the years. And perhaps there’s an element of truth to that. After all, it’s not as if the actual function of the kitchen has changed at all! But, in fact, how we do things in the kitchen has changed in many ways. Perhaps people were expecting us to have robots that would prepare our meals for us by now. Heck, there were people who assumed we’d be eating all of our meals in pill forms by the year 2000. I guess we wouldn’t have needed a kitchen at all if things had turned out that way! But the modern family is as interested in good food preparation than ever. Not only that, but we’re a lot more concerned about the effect our kitchen has on the environment. So a lot of the changes have been leaning more in these directions. Our kitchen activities haven’t changed that radically, nor are they going to change that radically in the future. But there’s no denying that change is happening in the kitchen. We’re going to take a look at some of the amazing advances in kitchen technology. We’re going to focus on things that affect the things modern kitchen dwellers are mostly in interested in. These areas concern quality, time, health, and the environment! Invasion of the Internet of Things! 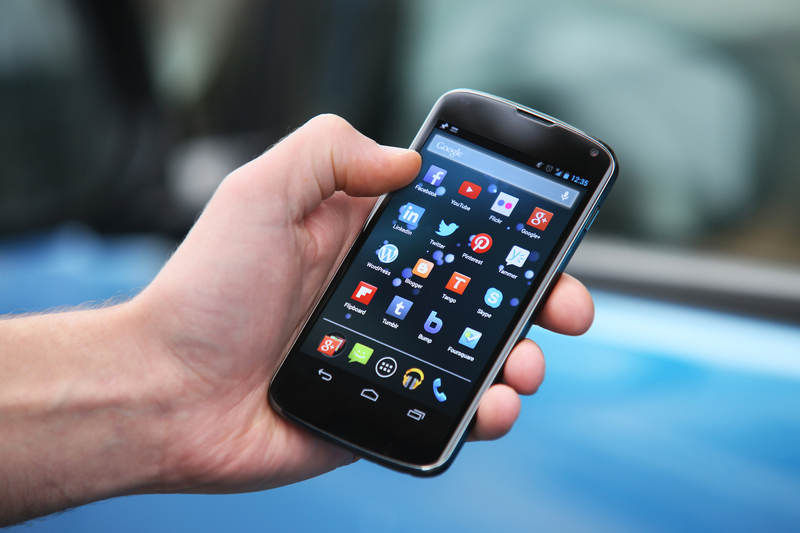 The Internet of Things is probably a term you’ve heard or seen while browsing the Internet. But what exactly is it? To put it briefly, it refers to the installation of Internet capabilities in our everyday objects. These objects will track certain data, then send that data to another device. The vast majority of the time, this will involve your smartphone. A very popular example of this in the realm of the kitchen has, of course, to do with coffee. It’s also where the Internet of Things in the kitchen becomes really involved. We’ve been using coffee machines in the kitchen for decades, right? And they didn’t really change much in all of that time. But not you can get a coffee machine that has WiFi capabilities. This allows you to connect it to your smartphone. At a press of a button on your smartphone, your coffee machine will get your brew going! But it can get even more involved in that. Some of these WiFi coffee machines connect to activity trackers. If you wear one of these on your wrist while you sleep, then all sorts of information is being recorded during the night. This information can actually track how well you’ve slept. 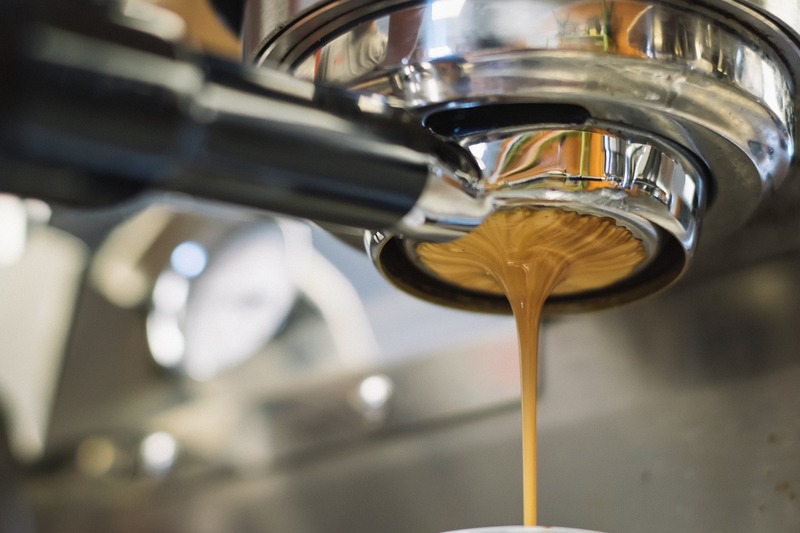 If you didn’t get enough sleep, then the coffee machine adjusts the strength of your morning brew! This, of course, is just one example. Slow cookers, dishwashers, refrigerators, and even trash cans are featuring this sort of technology! The Internet of Things is certainly on a mission to take over the kitchen. There are loads of advances that are taking the environment into account. While a lot of the technology here isn’t as flashy as some of the others, they are representative of our most “futuristic” mindset. After all, a full understanding of what our everyday activities do to the environment is a very modern thing. Just a couple of decades ago, many would never have predicted we’d ever care all that much! The kitchen is no longer where the bulk of our energy use comes from, especially in very modern home. Nevertheless, a large portion of our energy and carbon footprints are created there. This is why its so important for us to “get with the times” when it comes to new kitchen appliances and technology. For a lot of people, this means investing in induction cooking. 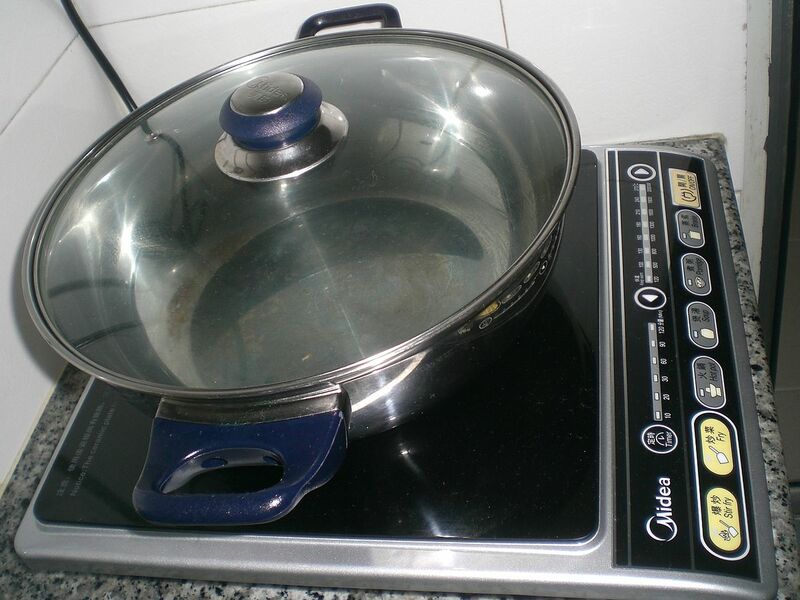 While there are, of course, pros and cons to induction cooking, it is incredibly energy efficient. It’s been around for decades, but recently the demand has increased. This means that prices have been driven down, and the selection has gone up. It’s one of the must-haves when it comes to the modern kitchen. If you combine it with the right induction cookware, then you’ve got an incredibly powerful and efficient setup! Gadgets that help reduce water output are also becoming a lot more popular these days. Thankfully, a lot of these aren’t really high-tech! (Which basically translates to “they’re very low-cost!”.) If you think about it, the amount of water you need for any given task is such a small amount of what we actually use. This is rarely something we can help. The nature of the water flow means that more than we need is always used. But advanced thinking is coming to the rescue! There are advanced faucet aerators you can install onto your kitchen tap that dissipates the water you use. This creates a high amount of moisture while using only 2-5% of the water you would otherwise have used! When we think about health in the kitchen, we generally think about two things. 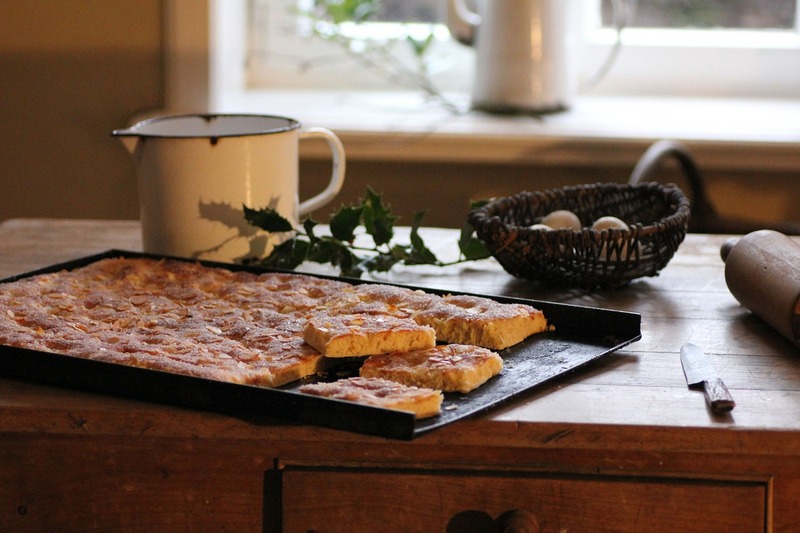 We consider the nutritional value of what we’re preparing and eating in the kitchen. We also think about things from a hygienic perspective. 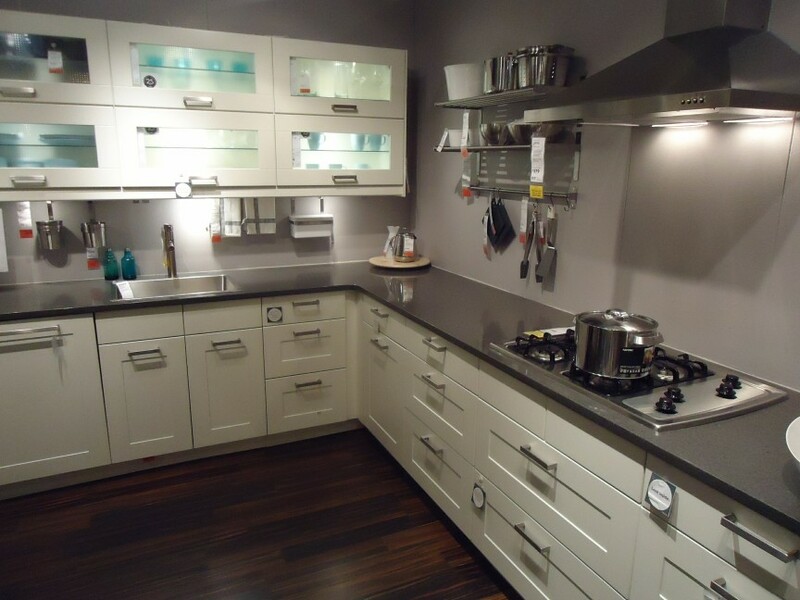 After all, the kitchen tends to have more harmful bacteria in it than any other room in the house! You can get a device that acts as both scales and a preparation surface. That, of course, isn’t the high-tech part. It also quantifies the nutritional value of whatever you’re preparing! This is actually part of the expanding “Internet of Things”. It can connect to your smartphone or tablet to help you keep track of your nutrition from day to day. As for hygiene, the trick is in making sure you clean everything properly, right? But, of course, the age-old problem is that you can’t actually see most of the harmful bacteria in your kitchen. It can be hard to tell whether or not your cleaning has actually done the trick. This is where something like the Verilux sanitizing wand. It helps makes that bacteria easier to see, as well as easier to clean. It actually looks like something that’s more befitting an episode of CSI! I’m always looking for safe products to use in my house and for my family. When it came to paper products, I never really knew what to buy so I just purchased what was on sale. I thought all toilet paper, napkins, tissues, and paper towels were the same. All these products are white, which means they’re free of dyes and have to be safe, right? All paper products perform the same, right? Well, I was wrong. I was recently asked to write a review for Caboo Paper Products and now all the confusion has passed. 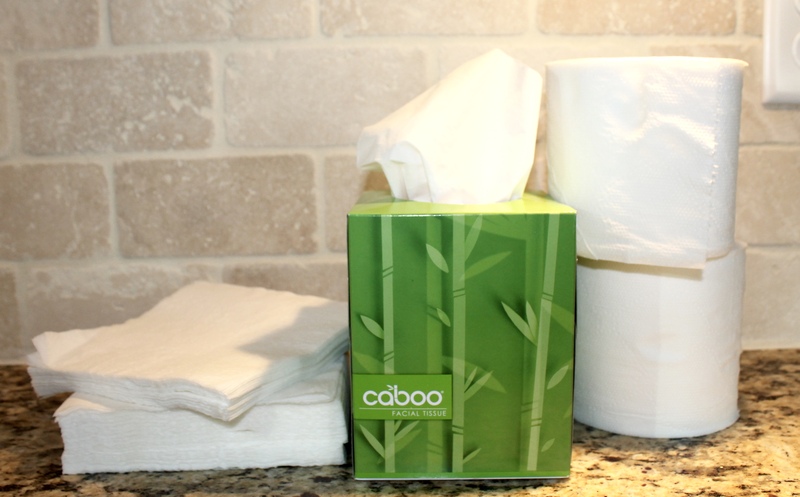 I tested four products by Caboo: napkins, paper towels, tissues, and toilet paper. First let me begin by telling you a little about the company. Caboo makes sustainable paper products from bamboo and sugarcane. These plants grow quickly so there’s no need to uselessly destroy trees. Unlike trees, bamboo and sugarcane do not require replanting. All of Caboo’s products are 100% biodegradable. This also means their products are more eco-friendly than their recycled counterparts. Lastly, they are non-GMO verified, BPA and chlorine free which was what interested me the most about this company. When you think bamboo, you think hard and stiff. Caboo was anything but these things. I was really impressed with these products. The napkins were soft yet strong! They weren’t stiff like many other brands of napkins. The paper towels were similar. 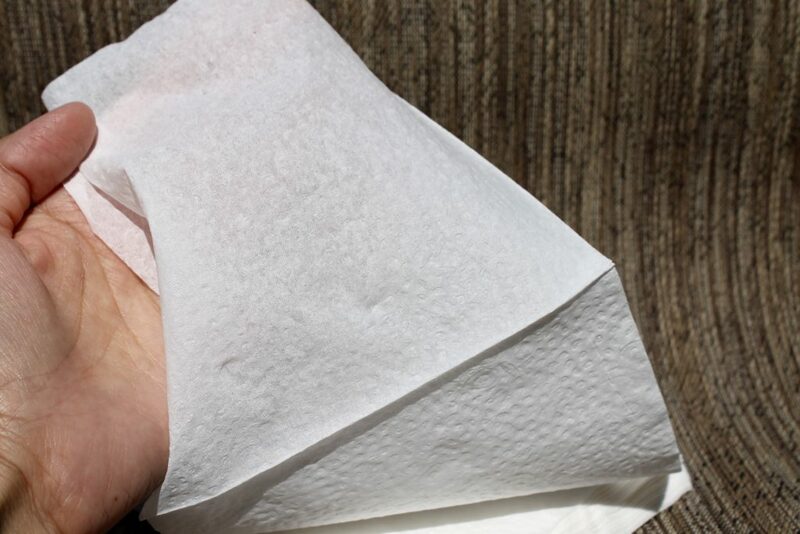 They were absorbent with spills and held up to hand drying and house cleaning. The tissues have lasted through three children with colds and several nosebleeds. We’ve had no blow-outs or pesky lint floating around. Finally, the toilet paper. Many of us are toilet paper snobs (at least in my house). We want thickness so it doesn’t tear but not too thick because it will leave behind fuzzies. One ply is too thin and rigid but anything more can be too thick. Again, I was impressed with Caboo’s 2-ply softness. It’s velvety without all dust and lint and has just the right amount of texture. Caboo has a luxurious feel you wouldn’t expect from eco-friendly products. The company puts your mind at ease by keeping the Earth clean while keeping your families safe. I highly recommend their products for their performance and their safety. You can pick them up at Whole Foods, Wegman’s, and Bristol Farms just to name a few. You can also log onto their website at caboopaper.com to search a Caboo retailer nearest you. **I received products in exchange for this review. All opinions are my own.